The Goldeneye is an improved version of the Bull’s Eye which provides a small cabin and self bailing cockpit. 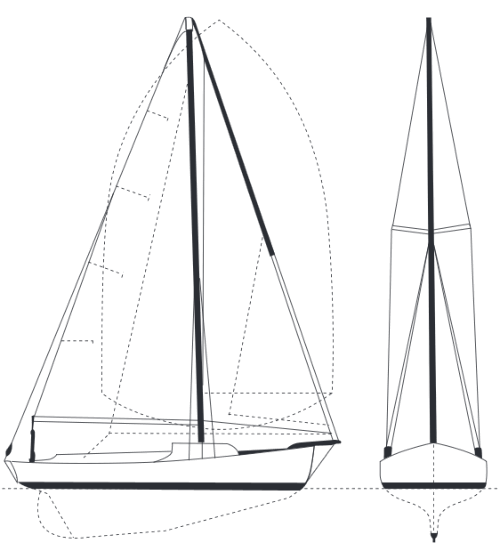 She offers many of the same sailing characteristics as the Bull’s Eye with a longer waterline and high lead keel to length ratio. It’s a wonderful boat for gunkholing and short overnight cruising for two people. 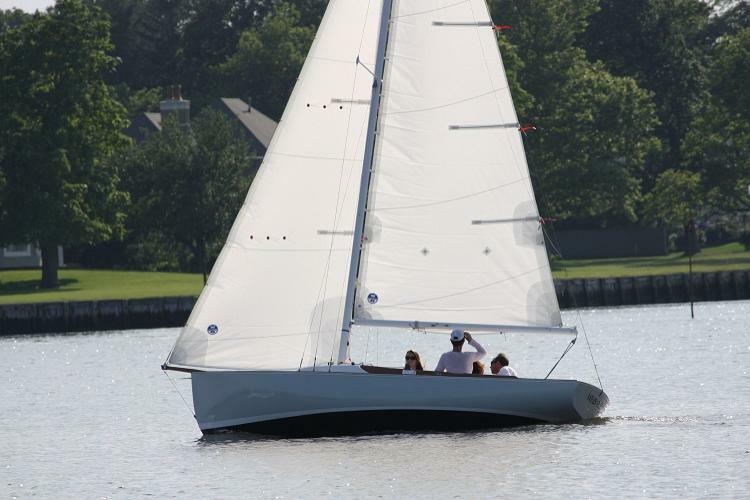 She offers versatility from sailing with a reef in the main and a storm jib to sailing with a genoa and spinnaker. The Goldeneye has a big boat feel without the common cruising boat hassles. Sail Area 193 sq. ft.